Maintain Safe Air Quality & Create Temporary Positive or Negative Air Pressure in Virtually Any Room or Building with This Portable Air Scrubbing Machine. Here We Offer One of The Best Commercial Air Cleaner Systems with HEPA & Heavy Duty 36 Pound Industrial Strength Activated Carbon Filters for Effective Dust & Fume Pollution Removal, Mold Remediation-Abatement, Job Site Air Purification & More, All at a Discount Price with Free Shipping! 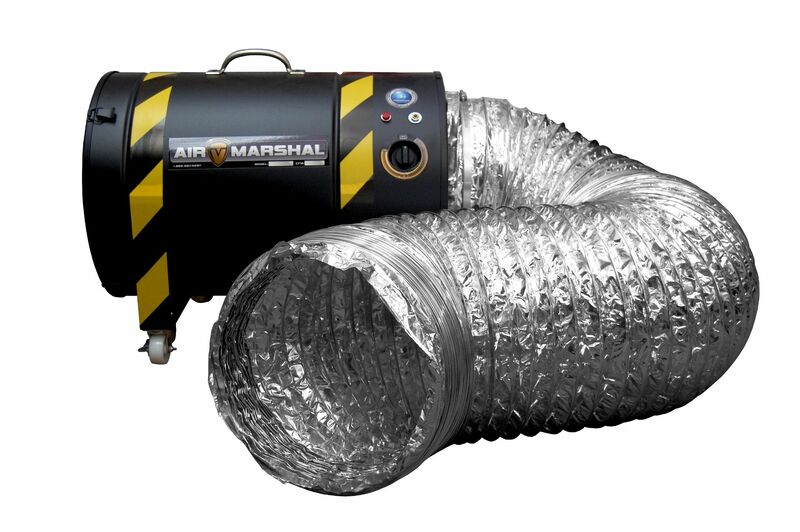 The Air Marshal 4000 features even more powerful industrial activated carbon and HEPA filtration, provides dramatically cleaner air, and offers a convenient design that makes it easy to create positive air pressure or negative airflow in virtually any enclosed space. 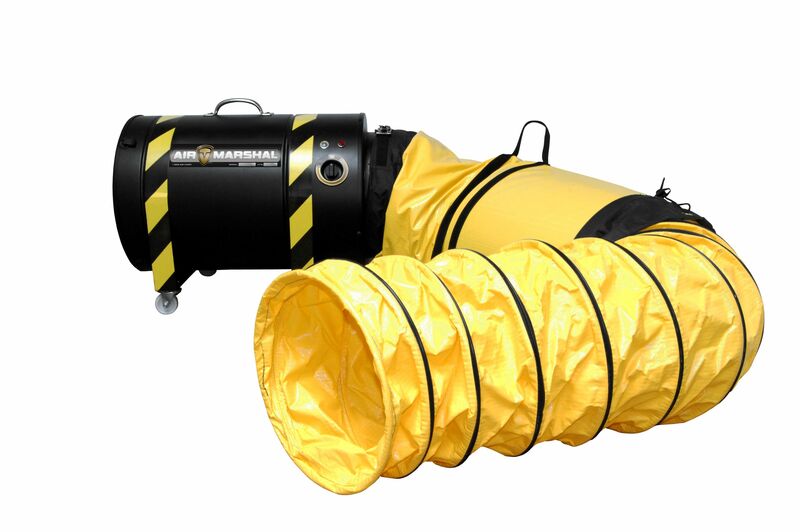 The Air Marshal 4000 units are especially well-suited for contractors, mold remediation companies, construction and remodeling jobs. UV lamps can be added to this unit for extra protection from mold spores, bacteria, viruses, etc. Custom carbon blends are also available for specific chemical or fume removal. Call 800-701-2513 for details. Positive & Negative Air Capable—Top Rated for Contractors, Mold Remediators, Etc. The Air Marshal 4000 is designed to treat heavy concentrations of volatile organic compounds, odors, dust and other airborne pollutants. The famous Vocarb-blend carbon filter, an easy-clean pre-filter and a medical grade HEPA filter together removes fumes, gases and 99.97% of all airborne dust & other particles down to 0.3 microns. This unit (without UV) is ARB certified for California. At our online store, we offer only the best, top-rated portable industrial and commercial air cleaners with quality activated carbon, HEPA, & pre-filter systems that quickly remove fumes & particles from houses, workshops, large rooms, and almost any indoor space--all at the good discount prices with free shipping due to our extremely low overhead. If you have any questions, just give our commercial air filtration experts a call toll-free at 1-800-701-2513. We’re here to help! Shipping Weight Approx. 69 lbs.